Modern technologies stimulate web agencies to test limits, come up with ingenious and ambitious ideas and bring incredible concepts to life. Websites with engaging and sophisticated interactive walks are one of the fresh outcomes of pushing the boundaries. They are a symbiosis of perfectly crafted scenes and high-end techniques. Despite requiring a mastery of skills, the concept is gaining popularity; creatives enjoy the freedom of choice when it comes to opting for methods of realization. From advanced manipulations with static panoramic images to complex 3D compositions, artists can create a professionally executed environment through a range of dynamic elements, significantly enriching the user experience with interesting facts and amusing twists. In order to fully appreciate this new trend, we have prepared a fresh collection of websites with excellent and memorable walking guide experiences. Visit Laholm is an engaging website where spectacular images of the city are spiced up with dynamic tooltips to kindle interest. The project offers users to embark on an amazing journey through the Laholm, discover landmarks and take a look at famous restaurants, pubs, hotels and other places. 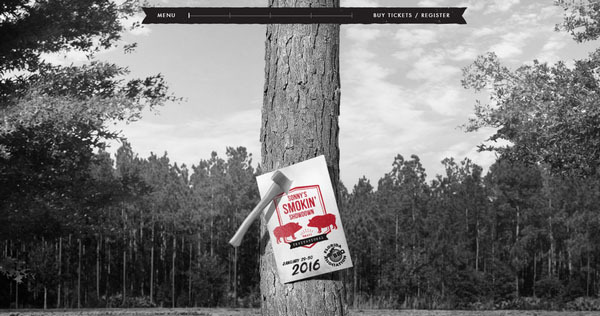 Sonny’s Smokin Showdown is an event website that instantly draws users in with an impressive design. The latter is skillfully constructed with the help of monochromatic environment, artistic typography and retro touches. The project unobtrusively walks you through the place, shedding the light on a schedule, competitors, sponsors and rules. Our Tam is a small website that pursues a good purpose. It is to increase and spread environmental awareness concerning the Mount Tamalpais. The project draws the attention via a well-crafted interactive walk through the hills populated with the exciting stories, pictures and videos. Although Project 360 leverages static images as a means to reproduce a journey through fantastic snowy routes, yet it is still captivating and provides users with an incredible experience. The concept is built on a series of scenic pictures. Concept Store Neptune has a website that totally matches the nameplate, exuding an image of innovation and novelty. While the 3D environment enables users to feel like they are inside the shop, tiny dynamic pointers enrich the project with extra information. BMW Autosalon offers you a chance to visit Geneva International Motorshow without leaving your chair. This sophisticated, fully-interactive website lets you discover gorgeous BMW vehicles by virtually examining the stand in 360 degrees. Picturesque photos convey the atmosphere. Wellstoried is a unique promo website created for Land Rover. It includes more than 600 stories where the car plays a leading role. By selecting the proper tag, you can explore various interesting moments with fantastic photos and fair comments from participants. From the ground up to the air: there is another matchless promotional website, however, this time it is dedicated to flying machines. The composition is beautiful, pretty and alive with an easy flow. Antonio’s Bar possesses a ton of interesting stuff that will certainly win over customers. The website is an interactive journey through the establishment filled with breathtaking images, videos and stories that charge the project with positive emotions and set up the friendly atmosphere. My Austria is a pioneering website that will take you through landmarks of Vienna in a visually exciting manner. The website organizes a short, yet captivating, trip equipped with numerous dynamic elements. The circular control center placed in the heart of the page serves as navigation and an information box. This interactive walk through the city owes its powerful impression to a range of splendid panoramic images accompanied with proper sound. Users can easily move around the city, explore deserted streets, visit museums and take a look at popular landmarks. DNB Boligreisen features a carefully crafted 3D surrounding that composes the entire website design, adds depth and establishes amazing aesthetics. Each page includes dynamic pointers that hide links and extra data. 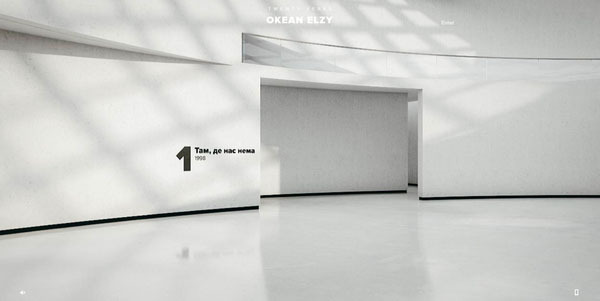 Art Project OkeanElzy is a first-rate website that draws you into the fantastic world of one of the most beloved musical groups in Ukraine. The project lets users track the group’s music career, fill in gaps in your knowledge of some interesting facts and enjoy wonderful music. Jupiter Ascending is a small browser game that is based on an interactive walk through the scenes from the movie. The project creates the proper mood and spirit as well as appeals to the audience. 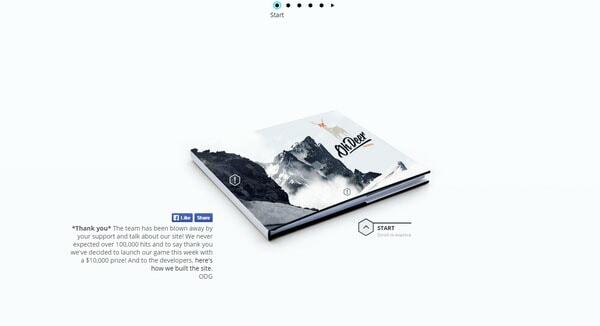 Oh Deer Games is a matchless online portfolio that thanks to gorgeous open feeling, sophisticated illustrations and unique approach separate oneself from others. The key feature is an interactive walk through the e-book, that page by page reveals essential information about the agency. This is truly a fascinating and unusual solution. A cosmic theme meets automotive theme, giving the website an incredible futuristic vibe. Splendid illustrations are brought to life through modern techniques that strengthen the sense of interactivity and make visiting the site an unforgettable event. Buttcon goes for a less traditional route to familiarizing an online audience with the company, breaking away from standard corporate websites. The project includes an interactive guide with projects enlivened by spectacular pictures. With this outstanding website, Virginia’s tourism website leaves you no missed opportunities. It simply maps and reveals hidden places and famous landmarks. Unlike the previous examples, here the interactive guide lies in a plane and uses a nifty flat style. Local Eyes Project is based on a skillful combination of video and interactive features that convey the atmosphere, make the user experience enthralling and create buzz. Exploration through the eyes of local people disclose engaging facts. 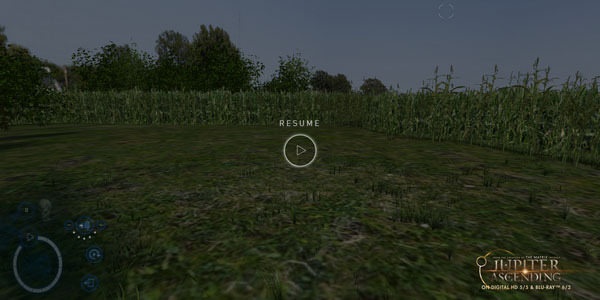 Grimouville is one of the first websites that lets users experience the power hidden in interactive walks. It skillfully guides you through a city, turning an acquaintance with the project into an unforgettable experience. Sophisticated and sometimes pioneering projects that include splendid interactive walks certainly differ from what we are accustomed to seeing. They provide a memorable experience, impress with high-end techniques and amaze with ingenious ideas, thereby drawing users deep into the projects. Nice…I see WebGl becoming common now that it works on all browsers. Even with that, though, these type of websites are not mobile friendly. I guess the only answer is to write 2 completely different websites for the same customer…one for desktop and one for mobile.